Few occasional pieces offer more visual impact than our Sequel Table. Made of solid, hand-finished North American hardwood, the table features three legs that arc as they rise, forming a reverse taper. 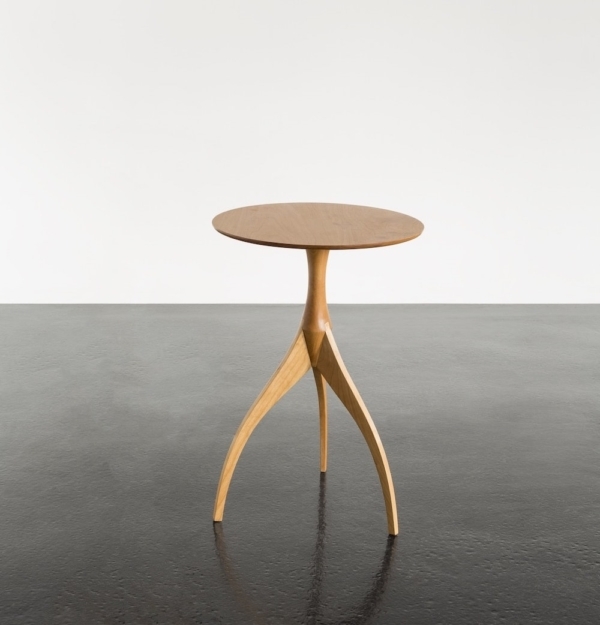 The legs culminate at a single, hand-turned column that rises to the base of the tabletop. Designed by David Moser, the table traces its lineage to Asian design movements that embrace the organic flow of natural forms. 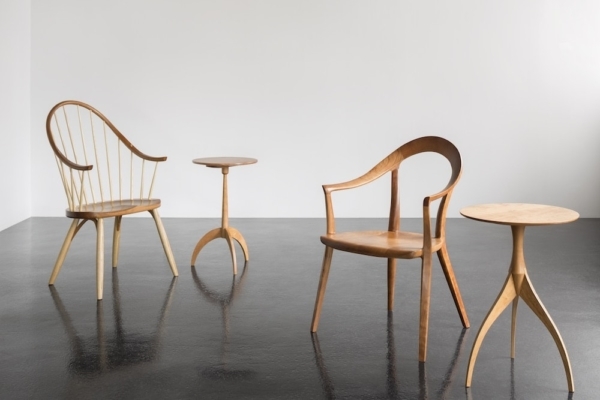 The Sequel Table is a companion to the Sequel Chair – itself an Asian-influenced derivative of Tom Moser’s Continuous Arm Chair. The table pairs well with its inspiration, but its versatility integrates naturally with most any living or bedroom ensemble. Handcrafted with three reverse-tapered legs that join traditionally with the singular column that supports the tabletop, the table is as visually light as it is physically strong. The tabletop of the Sequel Table is crafted from color matched hardwood and celebrates the play of natural grain structures. Its edge is finished with a slight taper and is secured to its supporting structure.